Avalon museum also hosts film screenings and a First Fridays’ event highlighting surfing culture. AVALON — One of the world’s most famous glass sculptors continues to be on display at the Catalina Island Museum, all while classic movies will be featured at the venue’s amphitheater. Catalina Island Museum introduced the works of Chihuly in March; visitors can currently take in the glass sculpture exhibition until 9:30 p.m. every Thursday evening through Aug. 31 (with the museum open for regular hours the remainder of the week). “Chihuly at Catalina Island Museum,” which is currently being exhibited museum-wide through Dec. 11, features what the venue’s curators describe as “iconic” and a “groundbreaking” exploration in color. Dale Chihuly creates colorful sculptures made of glass. Some of his works are featured in the museum’s outdoor plaza area and are illuminated during the Thursday evening exhibitions. Regular admission to the museum is $17 for adults and $15 for seniors (60 and older), military and students with valid identification. Children age 15 and younger are admitted for free with a paid adult admission. Three recent classic films will also be featured at the museum’s amphitheater: Romancing the Stone on July 26; A League of Their Own on Aug. 9; and, The Life Aquatic with Steve Zissou on Aug. 23. The museum’s doors re-open at 7 p.m., while the opening credits roll at dusk. Admission to each film screening is $3 for museum members and regular admission prices (see above) for non-members. Moviegoers can bring their own snacks and drinks (both alcoholic and non-alcoholic), but are not allowed to bring glass. 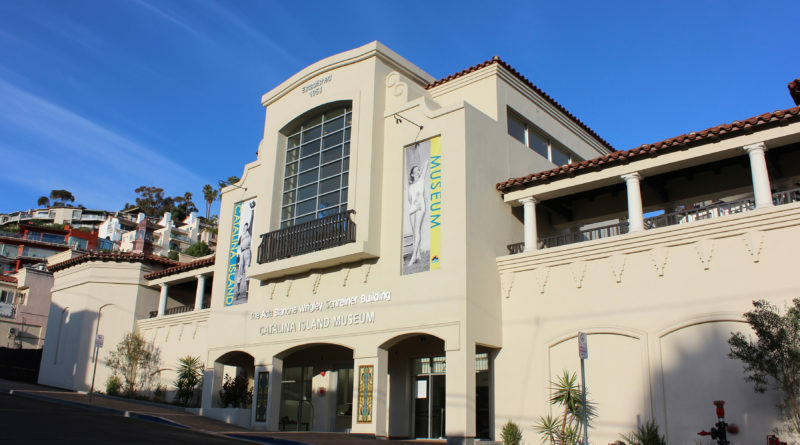 Catalina Island Museum also hosts First Fridays at the Museum to highlight surfing culture. The next First Fridays’ event is Aug. 4 and will feature a live band playing surf rock, followed by a screening of Endless Summer. First Fridays are held the first Friday of each month, with festivities running from 6-9 p.m. Tickets to the Aug. 4 event is $20 for members, $25 for non-members and $5 for children age 5 and younger. Catalina Island Museum is generally open from 10 a.m. to 5 p.m. daily, except for Independence Day, Thanksgiving and Christmas. The museum is located at the new Ada Blanch Wrigley Schreiner Building, 217 Metropole Avenue. Visit CatalinaMuseum.org or call 310-510-2414 for more information.